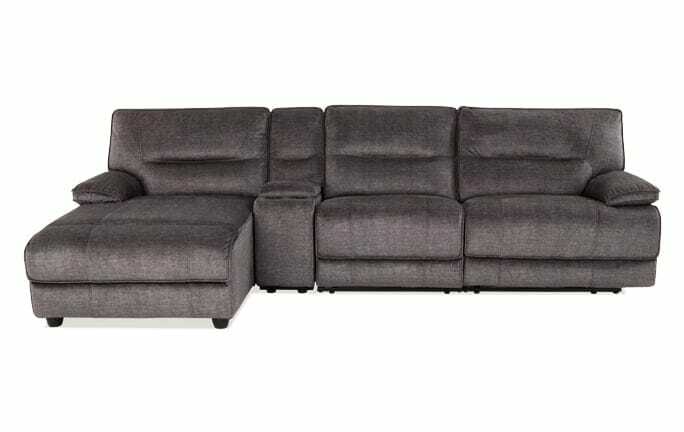 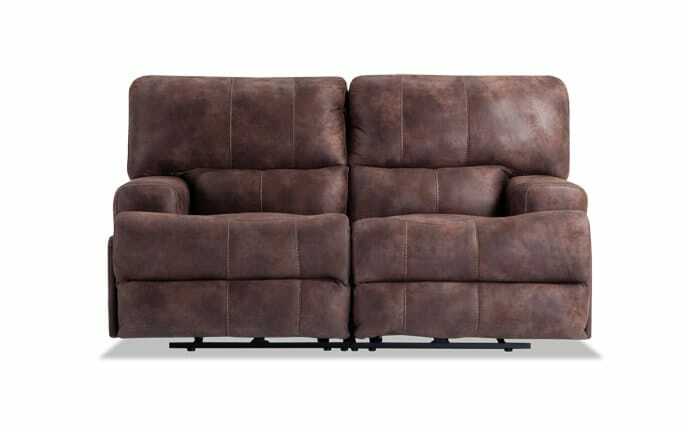 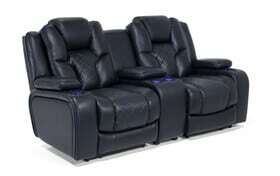 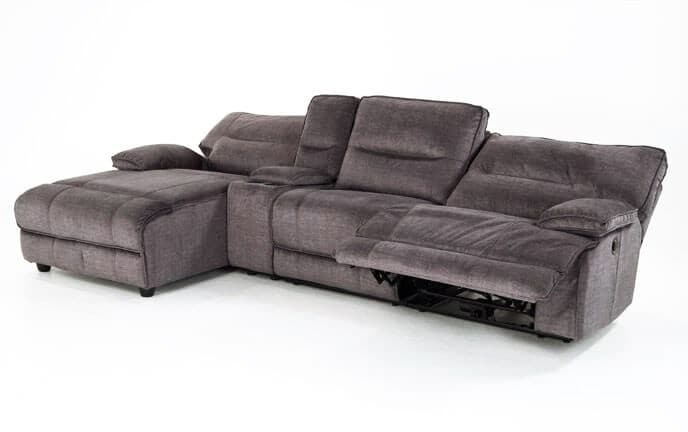 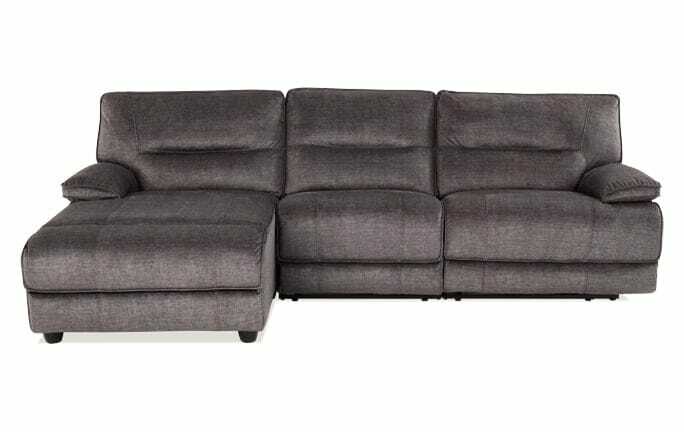 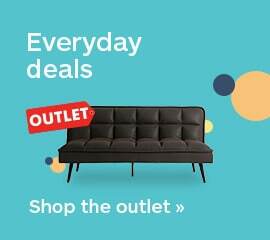 Get style and storage with my dual power reclining loveseat! 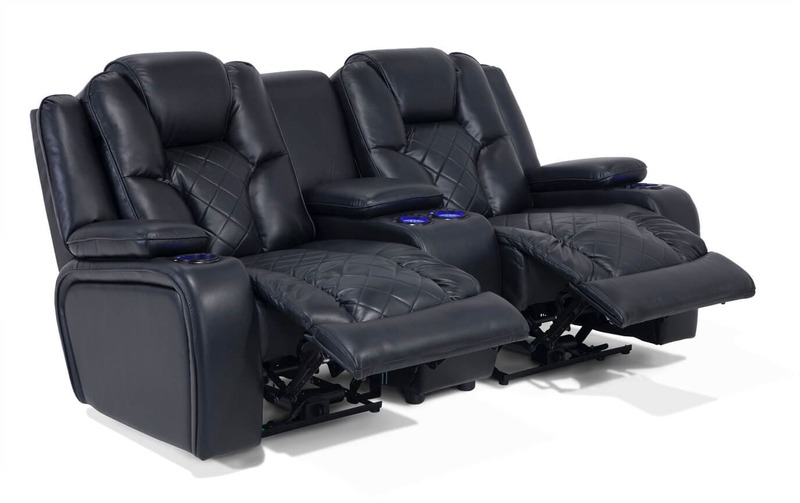 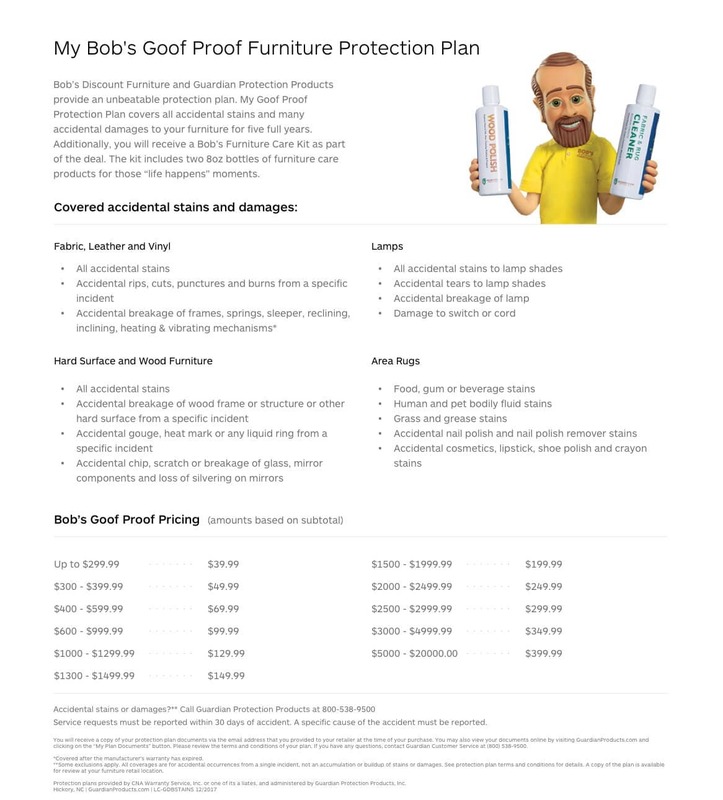 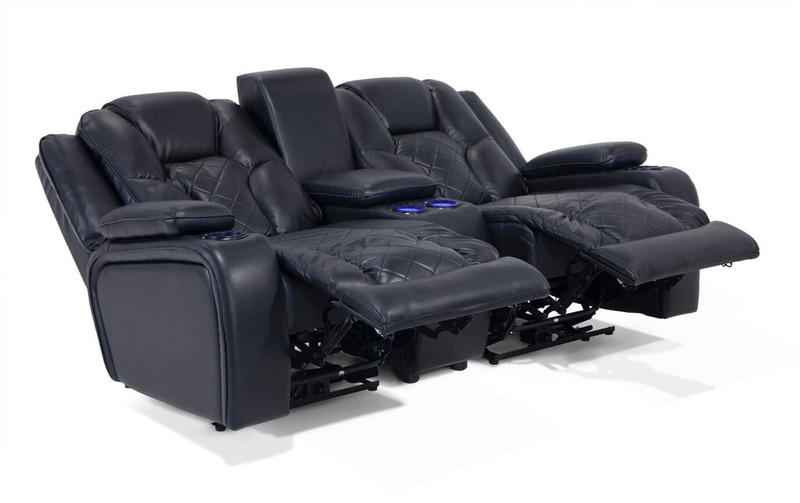 My Gladiator Dual Power Reclining Console Loveseat features the ease of smooth power recline and a power headrest paired with my famous Bob-O-Pedic Memory Foam Seating. 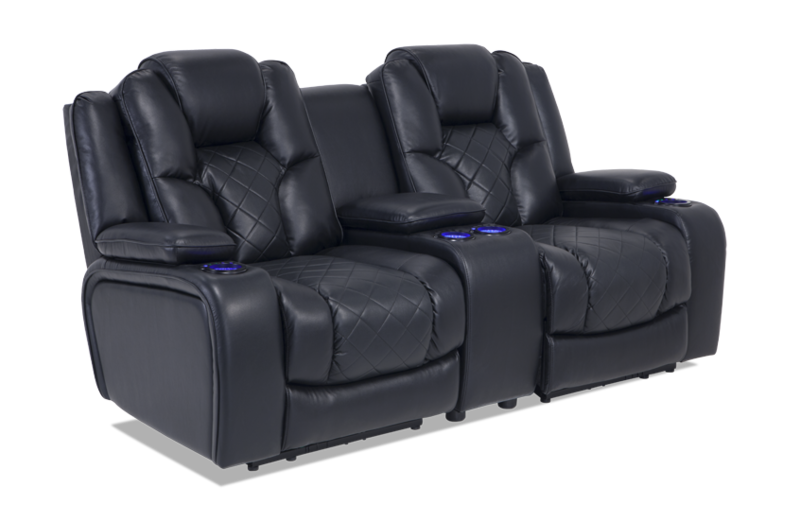 Cup holders on each arm add tons of convenience and the console has plenty of storage space for remote controls and more! 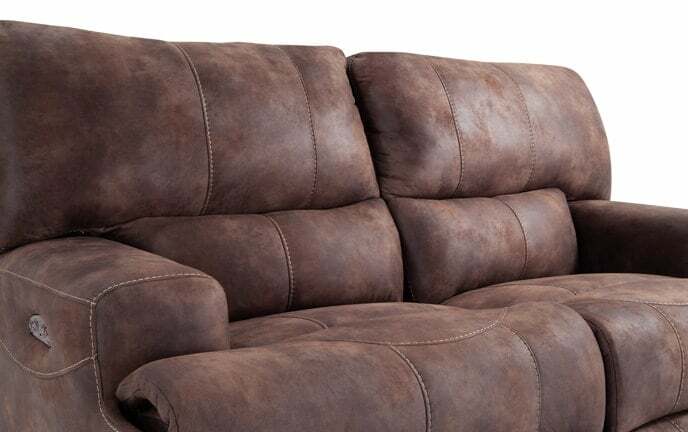 The durable performance fabric has a 'leather look' that's breathable, easy to clean and family friendly! 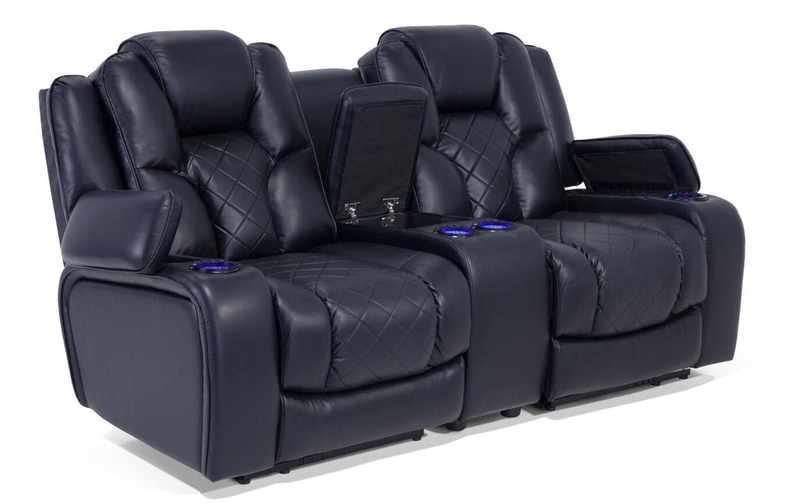 The quilted pattern adds high end style and enhance the transitional design! 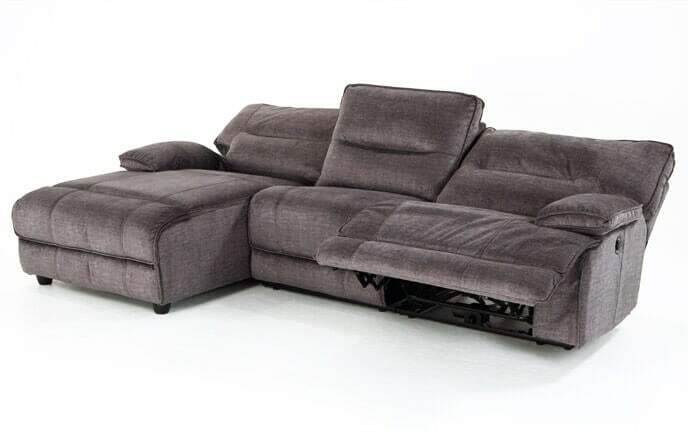 Only the coolest thing ever invented! 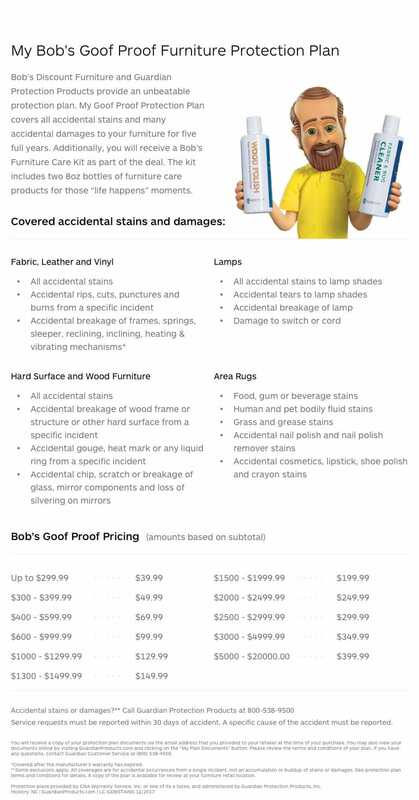 Avoid a party foul with the aid of my lighted cup holders. 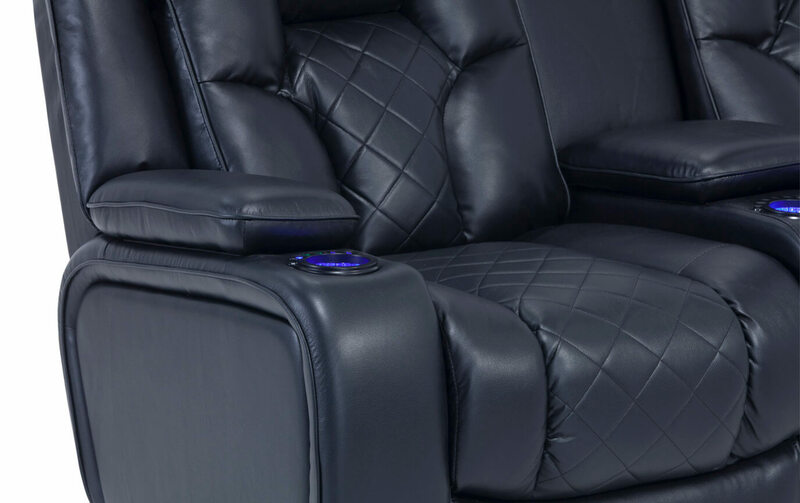 Give your head a rest with the touch of a button. 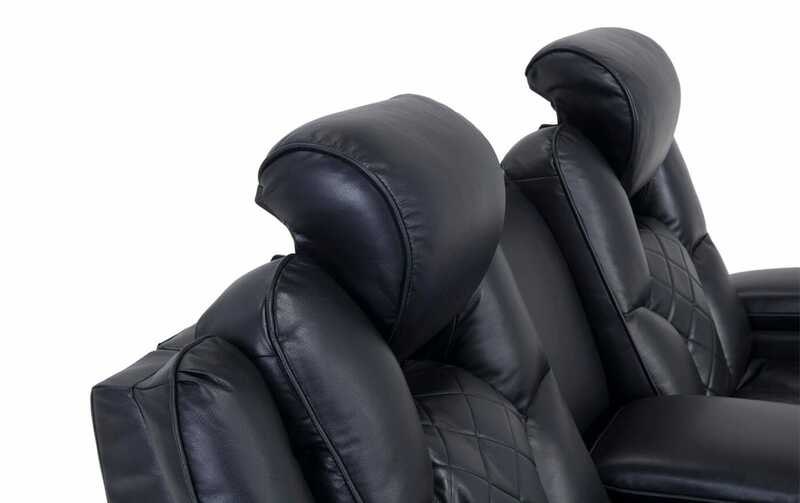 My power headrest is the ultimate in comfort and luxury!